When you hire us for your house cleaning services or maid services, you can expect the complete, most thorough professional housekeeping services available! There are many options for house cleaners and maid services, but there is only one that stands out as the BEST… Buckets & Bows Maid Service for your housecleaning chores! 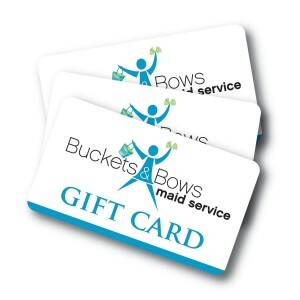 Buckets & Bows also has our exceptional office cleaning services available. For details contact us today! Not only did an exceptional job on the cleaning but she is so nice! Great to come home to a super clean house!